Does Florida Law Require Bicycle Helmets? Will it Hurt My Injury Case If I Wasn’t Wearing One? As a general rule, bicycle helmets are a smart safety investment in safety all cyclists, regardless of age or skill – especially in Florida, which has the unfortunate, long-running reputation as the most dangerous in the U.S. for riding. The Insurance Institute for Highway Safety reported of the thousands treated in hospital emergency rooms nationally for bicycling injuries, traumatic brain injuries account for 60 percent of deaths, 67 percent of hospital admissions and 33 percent of injuries. Only 17 percent of all cyclists killed in crashes were wearing helmets. If you weren’t wearing a helmet at the time of your bicycle accident, it’s important to understand how that will – and won’t – affect your claims and/ or litigation. What is Florida’s Bicycle Helmet Law? Legally, there is no universal bike helmet law in Florida. If you’re 16 or older, you don’t have to wear one. However, if you’re younger than that, the law says you must wear one that meets federal safety standards, fastened to your head security with a strap. 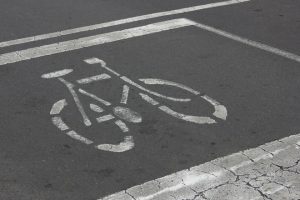 However, a defendant in a Fort Myers bicycle accident cannot use your decision to wear a bike helmet – or to ensure your child is wearing one – as a means to gain the upper hand in the case. The defense strategy, existing in some states that don’t expressly forbid it, involves asserting that a cyclist’s decision to forego the known protection of a helmet, is an act of contributory negligence resulting in exacerbated trauma that otherwise would not have been sustained, and therefore, defendant shouldn’t be responsible for the full extent of your injuries.